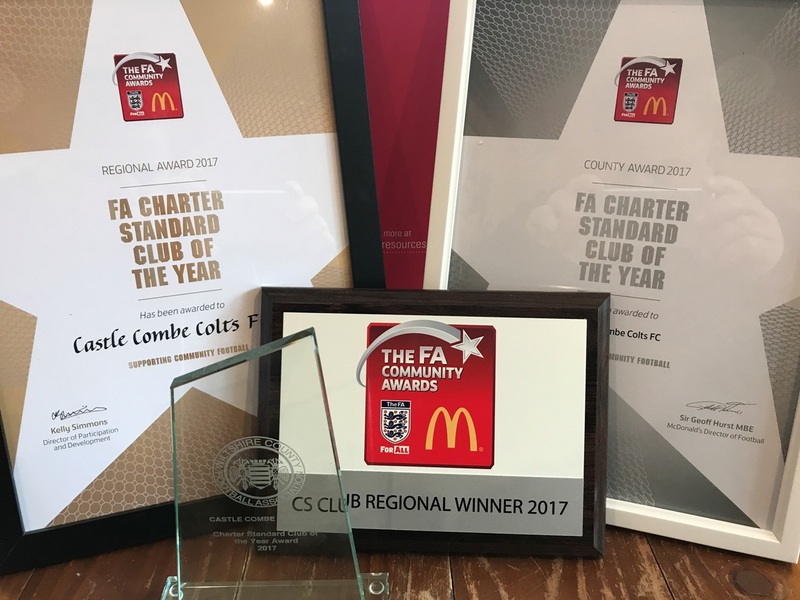 Come and join in the fun at Castle Combe Colts FC – voted by the FA as the best Charter Standard Club in Wiltshire and the South West for 2017! We would especially welcome Reception and Year 1 children (plus any aspiring parent coaches) for our award-winning MiniKickers section for U6s. All of our teams are coached by checked FA-qualified coaches. All drills are fun-based and our ethos means players of all abilities are welcome. 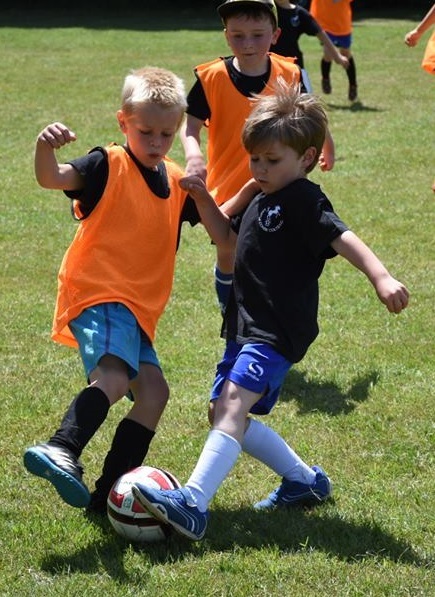 Our MiniKickers train outside on grass at Yatton Keynell during the summer and inside at Sheldon School during the winter. The first 4 sessions are free as a taster and, after that, children can get a year's worth of coaching for £60 now and get a free Colts t-shirt into the bargain. 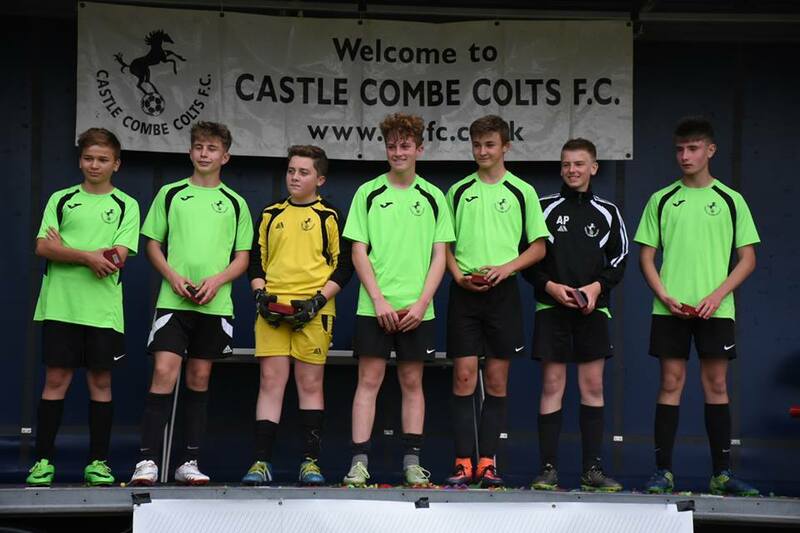 Castle Combe Colts’ annual Festival of Football demonstrated that the beautiful game is alive and kicking as 200 teams showed off their skills in the sunshine. A wonderful weekend of action featured the full range of age groups, with Reception and Year 1 children from the Colts’ own MiniKickers section having their chance to shine on the same pitches that saw under-16s boys and girls teams battle it out for the silverware. Teams and their armies of supporters came from across Wiltshire, Bath, Bristol and Gloucestershire and were able to savour an event that ran like clockwork across three days thanks to the tireless efforts of the Colts’ committee, parent volunteers who parked cars, flipped burgers and served tea and coffee, as well as a mightily impressive team of referees assembled by Julian Sattin. In all, 522 matches took place on immaculately prepared pitches and the increasingly-popular showpiece served up the usual mixture of cheers and tears from the participating teams. 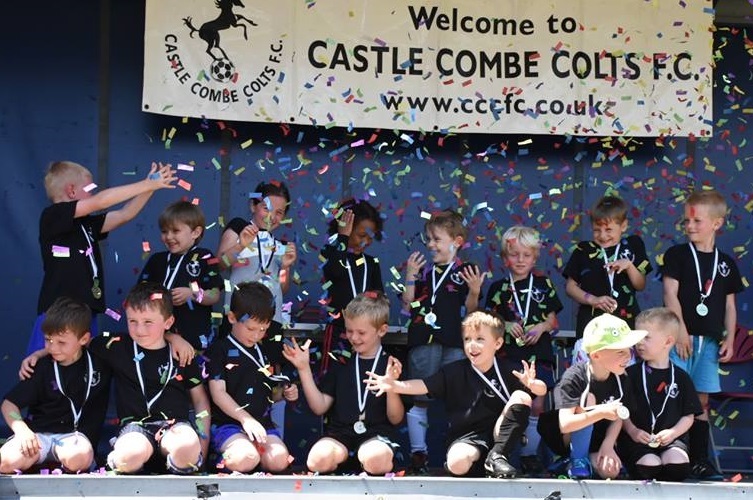 Respect – a word at the very heart of the Colts’ ethos – fantastic sportsmanship and fun were the real winners, however, and ensured all who visited the club’s picturesque headquarters enjoyed a day to remember. 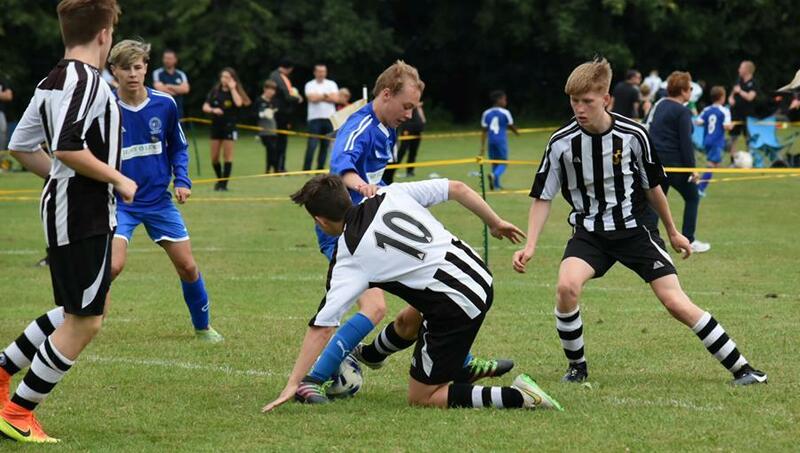 The hosts came so close to grabbing the honours in two age groups, with the under-11 Whites and under-14 Whites edged out in close finals by Bishops Cannings and Bath City Blacks respectively. Trophies were largely shared across the board, with Bath Arsenal under-7s and FC Chippenham Jaguars under-8s collecting the two Fair Play Awards. 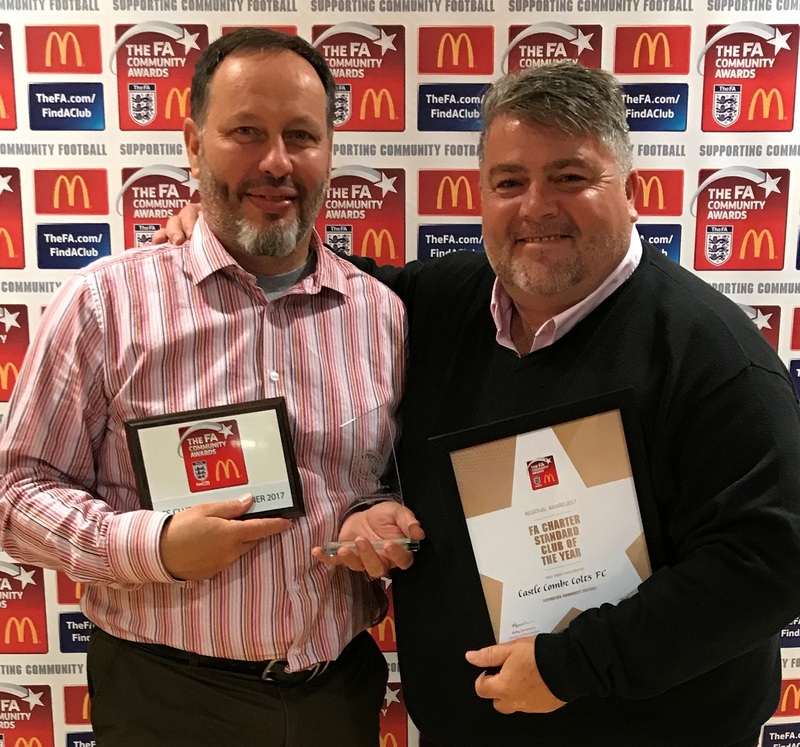 Proud Colts chairman David Lewis paid tribute to all who made the footballing feast possible, saying: “It was great to see so many different grassroots clubs represented across the weekend and we hope their experience was such that they will consider visiting us for many years to come. The club also extended its thanks to key tournament supporters the Lysley Family, Colin Ward, Chippenham Lions Club, Chippenham Pallet Company, MJ Church, Practical Van Hire and By Brook Valley School for in helping to make the event such an enormous success. 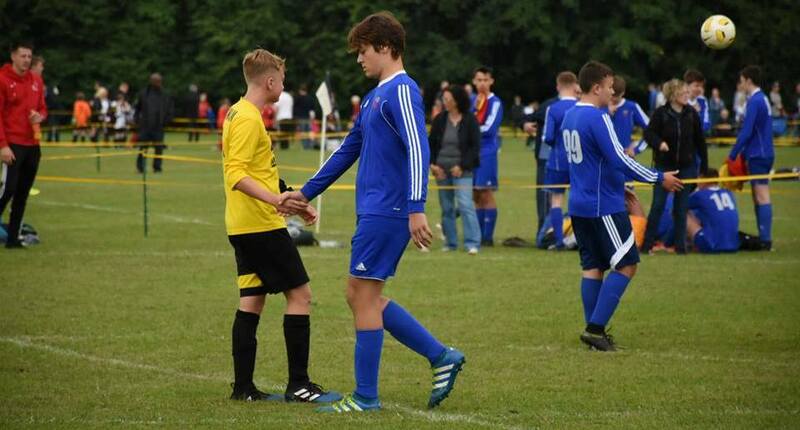 Castle Combe Colts FC invites you all – old friends and new – to come and join us in a Festival of Football this summer. An Entry Form and a set of sanctioned Rules are available for download below. This year we are excited to extend our girls’ competition to include U14 and U16 teams on the opening night. There are a maximum of ten teams per age group – so be quick! This does mean we will drop our U17/U18 Lads competition for a year. This is because the club doesn’t have a team in that age group this year – but hopefully it will return in 2018. Every effort will be made to accommodate an entry of two teams per team per age group, but should this not be possible any money banked for the second team will be refunded. All entries will be dealt with on a first come, first served basis. The entry fee has been pegged at £20 per team again. CCCFC will charge £3 per car to cover parking and a programme. Additional programmes can be purchased from our sellers at £2 each. Cheques should be made payable to Castle Combe Colts FC and be sent with an application form to Katie Sheppard at the address shown on the form. The closing date for entries is May 31st 2017. Note that no places will be confirmed until after this date and only then when the fee is paid in. Confirmations will be sent by email so please include your email address. If you would like confirmation by post, you’ll need to include a paid SAE. Please note that the tournament is only open to teams affiliated to their own County Football Association. No academy teams or players are allowed – see the Rules. There will be ample parking within a short walking distance of our sportsfield. No refunds shall be considered should any team be withdrawn from the tournament, within two weeks of the event. Those of you who have been with us before will know that the entire field is used for what it is intended for – playing football or watching it – and it is a wondrous sight. We have to employ a strict policy of no dogs or gazebos as there is simply not enough room. We very much look forward to welcoming you in the summer.